This is a video titled, “4 Critical Planning Questions” produced by small business owner Denise O’Berry. 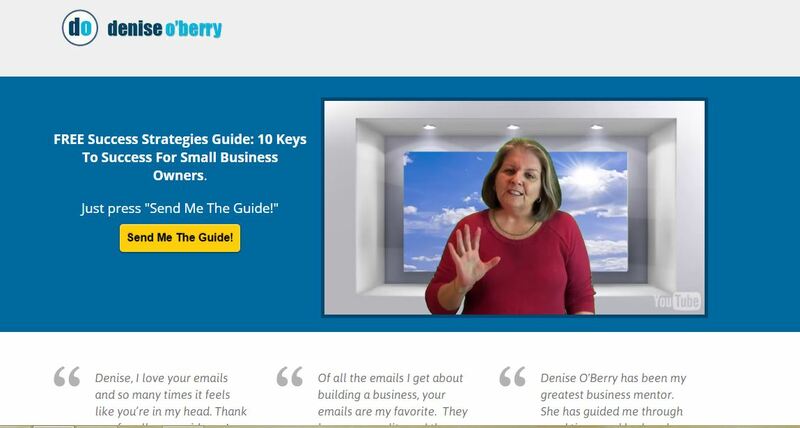 Denise has successfully used YouTube videos to attract clients and traffic to her website. A complete novice when she began producing videos, Denise knew the power of online video was too great to ignore. So she figured out what she needed to know by researching online and going through a DIY course. Now she uploads a weekly show that has helped her grow her business considerably. Although she experienced a learning curve and a few bumps along the way, Denise describes the effort as well worth it. I was quite impressed with the overall quality of her videos and believe they offer proof that you don’t have to be a pro to create quality video to share with customers. Recording in chunks is easier for many reasons. There is nothing more frustrating than getting to the end of the 2 or 3 minutes video and then blowing the last line. OMG, then you have to start all over! Well, not if you do it using the chunk method. Getting out a few sentences and then taking a deep breath before continuing will help anybody make it to the end without going crazy. Denise shared with me her thoughts and experiences with online video production and here is the interview. I hope it can inspire you to dive into video production too. Please describe your business niche. I help overwhelmed solopreneurs and micropreneurs take the right action to improve their cash flow. Pretty much any action you take in your small business has an impact on the cash coming in or going out in your small business. My focus is on helping those business owners make sure what they are doing helps them keep as much cash as possible in their business where it belongs. My website is full of self-help advice for small business. Describe your YouTube channel and the videos you upload to it. My YouTube channel features my weekly show — The Little Big Show — where I provide bite sized tips that small business owners can quickly implement to improve their bottom line. Each episode runs around three minutes. My aim is for the viewer to be able to take the tip provided and put it into action right now without having to spend a ton of time doing it. What motivated you to add videos to your business? Videos have become a mainstream method of reaching your target audience. The smartphone explosion has made that possible. Plus, after surveying my target market, I knew it was something that would appeal to them. Most of us are oversaturated with things to read. Watching a video, especially a short one that will help improve your business, is far simpler. What was your experience with video when you decided to do YouTube videos? Very little. I originally established my YouTube channel in 2007 and did very little with it. Occasionally I would add a book review or a screen capture video that highlighted a product I liked, but that was about it. Then in 2012, I fully embraced video and started my show in November of that year. How did you go about learning video production? 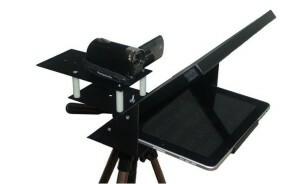 I took a DIY online video course. I had been following several experts who taught video and finally decided on one who resonated with me. Here is another example of one of my videos. This one is titled 3 Niche Marketing Myths. It runs 4:11. What was the hardest for you in terms of video production? The easiest? What was really important for you to know? The hardest part is the time it takes to create a short three minute video. Time invested in that is about two to three hours. First you have to come up with the idea, then create a script, followed by recording the video and then editing and producing. And that’s all before you publish it on the web. Tell me about the video production methods you use and why you choose to do it that way? I started out in the corner of my office with a camcorder and Camtasia 8 video editing software. I didn’t want to make a huge investment in lighting and other items until I was sure I’d really commit myself to the effort. My early videos are pretty dark, and you can tell I’m trying to find my way, but the message still has an impact. What I typically do today is brainstorm several ideas and then narrow them down into five to ten videos. I write the script and record my videos in chunks. It’s a pretty big effort to record, so I always do several videos at a time. That saves a bunch of time and effort. I found using a teleprompter made it much easier to do effective talking head videos so I invested in this small teleprompter which can attach to a tablet or cell phone. Describe how you use the videos in your business. Their purpose, your distribution methods, etc. My weekly show is the primary use of video. It’s purpose is as a lead generation tool to get people onto my mailing list and into my funnel. It’s been my primary method for list growth for a couple of years now. People feel like they know you, so it gives you a leg up in the relationship building process. I offer my show episodes to other websites who contact me seeking guest posts. Most of them are delighted to share my videos with their audience and it’s much easier for me than writing up a post. All they have to do is use the embed codes provided by YouTube. My show is syndicated on one major small business site and I’m always looking for new opportunities. I also use video in my training courses — these are a combination of screen capture and full motion video. What kind of success/failure/hassles have you had using video in your business? Tech challenges are the biggest issue. I currently have my own studio so it makes it much easier to record, but there are still challenges. And it’s important to remember, just like any marketing method that it’s not set it and forget it. You have to work to get the word out and reach your target market. I wish I’d known how much I love doing video. I would have started much sooner. What is your advice for those just starting with video? If you’d like to follow in Denise’s footsteps and learn how to do videos to promote your business or cause, then let the Video Production Tips website be your guide. We offer a free course that you can sign up for from any page on the site, as well as hundreds of posts that do not require signing up. Lorraine Grula, Video Production Tips. Well, Denise, you are absolutely right, now we have our smart phones and I must say from social media we can generate our audience through online video marketing more rapidly than ever.